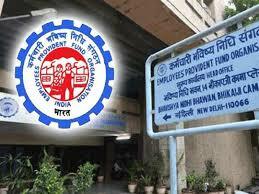 is the authority which keeps a tab of PF data of salaried individuals. c. The accumulation in the member's PF account (or together with the spouse), including the interest, has to be more than Rs 20,000. EPFO members can withdraw up to 75 per cent of their EPF account balance after being unemployed for more than one month. A subscriber also has the option to withdraw the remaining amount after being unemployed for two months and close the EPF account.